Since America West and US Airways merged as planned in the fall of 2006 the new airline (using the name US Airways) will service 61.3 million passengers a year; this would make it the sixth largest airline in the world. The scale and scope of airline companies are from those with a single airplane carrying mail or cargo, through full-service international airlines operating many hundreds of airplanes in various types. Airline services can be categorized as being intercontinental, intracontinental, regional or domestic and may be operated as scheduled services or charters. These variations in the types of airline companies, their operating scope, and the routes they serve makes analysis of the airline industry somewhat complex. Nevertheless, some patterns have emerged in the last 50 years of experience. The general pattern of ownership has gone from government owned or supported to independent, for-profit public companies. This occurs as regulators permit greater freedom, in steps that are usually decades apart. This pattern has not been completed for all airlines in all regions. The demand for air travel services is derived demand. That is, it depends on other things: business needs for cargo shipments, business passenger demand, leisure passenger demand, all influenced by macroeconomic activity in the markets under study. These patterns are highly seasonal, and often day-of-week, time-of-day, and even directionally variable. Notwithstanding these demand patterns, the overall trend of demand has been consistently increasing. In the 1950's and 1960's, annual growth rates of 15% or more were common. Annual growth of 5-6% persisted through the 1980's and 1990's. Growth rates are not consistent in all regions, but certainly areas where deregulation provided more competition and greater pricing freedom resulted in lower fares and sometimes dramatic spurts in traffic growth. The U.S., Australia, Japan, Brazil, Mexico, and other markets exhibited this trend. The industry is cyclical. Four or five years of poor performance are followed by five or six years of gradually improving good performance. But profitability in the good years is generally low, in the range of 2-3% net profit after interest and tax. It is in this time that airlines begin paying for new generations of airplanes and other service upgrades they ordered to respond to the increased demand. Since 1980, the industry as a whole has not even earned back the cost of capital during the best of times. Conversely, in bad times losses can be dramatically worse. As in many mature industries, consolidation is a trend, as airlines form new business combinations, ranging from loose, limited bilateral partnerships to long-term, multi-faceted alliances of groups of companies, to equity arrangements between companies, to actual mergers or takeovers. Since governments often restrict ownership and merger between companies in different countries, we see most consolidation taking place within a country. In the U.S., over 200 airlines have been merged, taken over, or simply gone out of business since deregulation began in 1978. Many international airline managers are actively lobbying their governments to permit greater consolidation, in order to achieve higher economies of scale and greater efficiencies. Early Development of Airlines in the USA - Following World War I, the United States found itself swamped with aviators. Many decided to take their war-surplus aircraft on barnstorming campaigns, performing acrobatic maneuvers to woo crowds. In 1918, the United States Postal Service won the financial backing of Congress to begin experimenting with air mail service, initially using Curtiss Jenny aircraft that had been procured by the United States Army for reconnaissance missions on the Western Front. The Army was the first to fly these missions, but quickly lost the contract when they proved to be too unreliable. By the mid-1920s, the Postal Service had developed its own air mail network, based on a transcontinental backbone between New York and San Francisco. To supplant this service, they offered twelve contracts for spur routes to independent bidders: the carriers that won these routes would, through time and mergers, evolve into Braniff Airlines, American Airlines, United Airlines (originally a division of Boeing), Trans World Airlines, Northwest Airlines, and Eastern Airlines, to name a few.Passenger service during the early 1920s was sporadic at best: most airlines at the time were focused on carrying bags of mail. In 1925, however, Ford Motor Company bought out the Stout Aircraft Company and began construction of the all-metal Ford Trimotor, the first successful American airliner. With a 12-passenger capacity, it made passenger service potentially profitable. Air service was seen as a supplement to rail service in the American transportation network.At the same time, Juan Trippe began a crusade to create an air network that would link America to the world, and he achieved this goal through his airline, Pan American World Airways, with a fleet of flying boats that linked Los Angeles to Shanghai and Boston to London. Pan Am was the only U.S. airline to go international before the 1940s, and quickly became a symbol of the potential of the American airline industry. With the introduction of the Boeing 247 and Douglas DC-3 in the 1930s, the U.S. airline industry was generally profitable, even during the Great Depression. This trend continued until the beginning of World War II. Early Development of Airlines In Europe - The first countries in Europe to embrace air transport were France, Germany and the Netherlands.In 1919 KLM was founded, still the oldest carrier operating under its original name. The first flight transported two English passengers to Schiphol, Amsterdam from London in 1920. Like other major European airlines of the time (see France and the UK below), KLM's early growth depended heavily on the needs to service links with far-flung colonial possessions (Dutch Indies). It is only after the loss of the Dutch Empire that KLM found itself based at a small country with few potential passengers, depending heavily on transfer traffic, and was one of the first to introduce the hub-system to facilitate easy connections. France began an air mail service to Morocco in 1919 that was bought out in 1927, renamed Aéropostale, and injected with capital to become a major international carrier. In 1933, Aéropostale went bankrupt, was nationalized and merged with several other airlines into what became Air France. The German airline industry began with Lufthansa in 1926, which, unlike most other airlines at the time, became a major investor in airlines outside of Europe, founding Varig and Avianca. German airliners built by Junkers, Dornier, and Fokker were the most advanced in the world at the time. The peak of German air travel came in the mid-1930s, when Nazi propaganda ministers approved the start of commercial zeppelin service: the big airships were a symbol of industrial might, but the fact that they used flammable hydrogen gas raised safety concerns that culminated with the Hindenburg disaster of 1937. United Kingdom's flag carrier during this period was Imperial Airways, which became BOAC (British Overseas Airlines Co.) in 1939. Imperial Airways used huge Handley-Page biplanes for routes between London, the Middle East, and India: images of Imperial aircraft in the middle of the Rub'al Khali, being maintained by Bedouins, are among the most famous pictures from the heyday of the British Empire. Development of airlines post-1945 - As governments met to set the standards and scope for an emergent civil air industry toward the end of the war, it was no surprise that the U.S. took a position of maximum operating freedom. After all, U.S. airline companies were not devastated by the war, as European companies and the few Asian companies had been. This preference for "open skies" operating regimes continues, within limitations, to this day. World War II, like World War I, brought new life to the airline industry. Many airlines in the Allied countries were flush from lease contracts to the military, and foresaw a future explosive demand for civil air transport, for both passengers and cargo. They were eager to invest in the newly emerging flagships of air travel such as the Boeing Stratocruiser, Lockheed Constellation, and Douglas DC-6. Most of these new aircraft were based on American bombers such as the B-29, which had spearheaded research into new technologies such as pressurization. Most offered increased efficiency from both added speed and greater payload. In the 1950s, the De Havilland Comet, Boeing 707, Douglas DC-8, and Sud Aviation Caravelle became the first flagships of the Jet Age in the West, while the Soviet Union bloc countered with the Tupolev Tu-104 and Tupolev Tu-124 in the fleets of state-owned carriers such as Aeroflot and Interflug. The Vickers Viscount and Lockheed L-188 Electra inaugurated turboprop transport. The next big boost for the airlines would come in the 1970s, when the Boeing 747, McDonnell Douglas DC-10, and Lockheed L-1011 inaugurated widebody ("jumbo jet") service, which is still the standard in international travel. The Tupolev Tu-144 and its Western counterpart, Concorde, made supersonic travel a reality. In 1972, Airbus began producing Europe's most commercially successful line of airliners to date. The added efficiencies for these aircraft were often not in speed, but in passenger capacity, payload, and range. With deregulation in the U.S. beginning in 1978, barriers to entry were lowered for new entrants. Typically, a new wave of start-ups would enter during downturns in the normal 8-10 year business cycle. At that time, they find aircraft, financing, hangar and maintenance services, training all relatively inexpensive, and laid off staff from other companies eager and willing to take a job with the new company. Alas, as the business cycle returned to normalcy, major airlines were able to dominate their routes through aggressive pricing and additional capacity offerings, often swamping the new startup. Only America West Airlines (now known as USAirways) has remained as a significant survivor from this new entrant era, as dozens, even hundreds, have gone under. In many ways, the biggest winner in the deregulated environment was the air passenger. Indeed, the U.S. witnessed an explosive growth in demand for air travel, as many millions who had never or rarely flown before became regular fliers, even joining frequent flyer loyalty programs and receiving free flights and other benefits from their flying. New services and higher frequencies meant that business fliers could fly to another city, do business, and return the same day, for almost any points in the country. Air travel's advantages put intercity bus lines under pressure, and most have withered away. By the 1980's, almost half of the total flying in the world took place in the U.S., and today the domestic industry operates over 10,000 daily departures nationwide. Toward the end of the century, a new style of low cost airline was seen, offering a consistent, often high-quality product, using new aircraft models, at a price that was well-received. JetBlue, AirTran Airways, and other companies represented a serious challenge to legacy carriers, as their counterparts in Europe, Canada, and Asia did to legacy carriers in those regions. Their commercial viability also represented a serious cost threat to employees at legacy airlines, as they set the standard for wage rates in the industry that were a fraction of the prevailing wage. Thus the last 50 years of the airline industry have varied from reasonably profitable, to devastatingly depressed. As the first major market to deregulate the industry in 1978, U.S. airlines have experienced more turbulence than almost any other country or region. Today, airlines representing approximately one-half of total U.S. seat capacity are operating under Chapter 11 bankruptcy provisions. Government Regulations - Many countries have national airlines that are owned and operated by the government. Even fully privatized airlines are subject to a great deal of government regulation for economic, political, and safety concerns. Airline labor actions, for instance, are often halted by government intervention in order to protect the free flow of people, communications, and goods between different regions without compromising safety. The United States, Australia, and to a lesser extent Brazil, Mexico, the European Union, and Japan have "deregulated" their airlines. In the past, these governments dictated airfares, route networks, and other operational requirements for each airline. Since deregulation, airlines have been largely free to negotiate their own operating arrangements with different airports, enter and exit routes easily, and to levy airfares and supply flights according to market demand. The entry barriers for new airlines are lower in a deregulated market, and so the U.S. has seen hundreds of airlines start up (sometimes for only a brief operating period). This has produced far greater competition than before deregulation in most markets, and average fares tend to drop 20% or more, spurring new sources of demand. The added competition, together with pricing freedom, means that new entrants often take market share with highly reduced rates that, to a limited degree, full service airlines must match. This is a major constraint on profitability for established carriers, which tend to have a higher cost base. As a result, profitability in a deregulated market is uneven for most airlines. These forces have caused some major airlines to go out of business, in addition to most of the poorly established new entrants. Operating costs - In a mature industry with low fare new entrants and tiny operating margins, it is imperative that airline managers identify controllable costs. Full-service airlines have a high level of fixed and operating costs in order to establish and maintain air services: labor, fuel, airplanes, engines, spares and parts, IT services and networks, airport equipment, airport handling services, sales distribution, catering, training, insurance, and other costs. Thus all but a few cents on the dollar in ticket sales is paid out to a wide variety of external providers or internal cost centers. Moreover, the industry is structured so that airlines often act as tax collectors. Airline fuel is untaxed however due to a series of treaties existing between countries. Ticket prices include a number of fees, taxes, and surcharges they have little or no control over, and these are passed through to various providers. Airlines are also responsible for enforcing government regulations. If airlines carry passengers without proper documentation on an international flight, they are responsible for returning them back to the originating country. Analysis of the 1992-1996 period shows that every player in the air transport chain is far more profitable than the airlines, who collect and pass through fees and revenues to them from ticket sales. While airlines as a whole earned 6% return on capital employed (2-3.5% less than the cost of capital), airports earned 10%, catering companies 10-13%, handling companies 11-14%, aircraft lessors 15%, aircraft manufacturers 16%, and global distribution companies more than 30%. (Source: Spinetta, 2000, quoted in Doganis, 2002) In contrast, Southwest Airlines has been the most profitable of airline companies since 1970. Indeed, some sources have calculated Southwest to be the best performing stock over the period, outperforming Microsoft and many other high performing companies. The chief reasons for this are their product consistency and cost control. The widespread entrance of a new breed of low cost airlines beginning at the turn of the century has accelerated the demand that full service carriers control costs. Many of these low cost companies emulate Southwest Airlines in various respects, and like Southwest, they are able to eke out a consistent profit throughout all phases of the business cycle. As a result, a shakeout of airlines is occurring in the U.S. and elsewhere. United Airlines, US Airways (twice), Delta Air Lines, and Northwest Airlines have all declared Chapter 11 bankruptcy, and American has barely avoided doing so. Alitalia, Scandinavian Airlines System, SABENA, Japan Air System, Air Canada, Ansett Australia, and others have flirted with or declared bankruptcy since 2000, as low cost entrants enter their home markets as well. Some argue that it would be far better for the industry as a whole if a wave of actual closures were to reduce the number of "undead" airlines competing with healthy airlines while being artificially protected from creditors via bankruptcy law. Ticket sales - Airlines assign prices to their services in an attempt to maximize profitability. To do this well requires yield management technology and pricing flexibility. They use differentiated pricing, a form of price discrimination, in order to sell air services at varying prices simultaneously to different segments. Factors influencing the price include the days remaining until departure, the current booked load factor, the forecast of total demand by price point, competitive pricing in force, and variations by day of week of departure and by time of day. A complicating factor is that of origin-destination control ("O&D control"). Someone purchasing a ticket from say, Melbourne to Sydney for $A200 is competing with someone else who wants to fly Melbourne to Los Angeles through Sydney on the same airplane, and who is willing to pay $A1400. Should the airline prefer the $A1400 passenger, or the $A200 passenger + a possible Sydney-Los Angeles passenger willing to pay $A1300? Airlines have to make hundreds of thousands of similar pricing decisions daily in their markets. In contrast, low fare carriers usually offer straightforward, preannounced, simple prices. They can do this by quoting prices for each leg of a trip; passengers simply add them together to construct a full journey. The advent of advanced computerized reservations systems in the late 1970s, most notably Sabre, allowed airlines to easily perform cost-benefit analyses on different pricing structures, leading to almost perfect price discrimination in some cases (that is, filling each seat on an aircraft at the highest price that can be charged without driving the consumer elsewhere). The intense nature of airfare pricing has led to the term "fare war" to describe efforts by airlines to undercut other airlines on competitive routes. Computers also allow airlines to predict, with some accuracy, how many passengers will actually fly after making a reservation to fly. This allows airlines to overbook their flights enough to fill the aircraft while accounting for "no-shows," but not enough (in most cases) to force paying passengers off the aircraft for lack of seats. Since an average of 1/3 of all seats are flown empty, stimulative pricing for low demand flights coupled with overbooking on high demand flights can help reduce this figure. 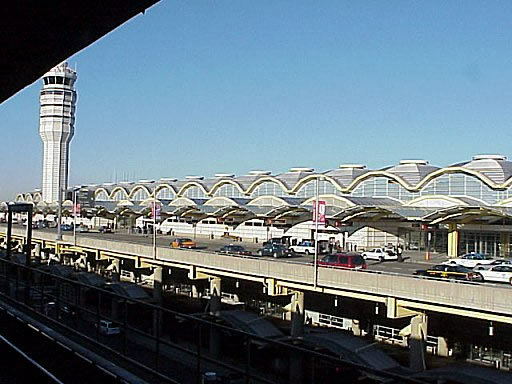 Airport operations - Where an airline has established an engineering base at an airport then there may be considerable economic advantages in using that same airport as a preferred focus (or "hub") for its scheduled flights. In view of the congestion apparent at many international airports, the ownership of slots at certain airports (the right to take-off or land an aircraft at a particular time of day or night) has become a significant tradeable asset in the portfolios of many airlines. Clearly take-off slots at popular times of the day can be critical in attracting the more profitable business traveler to a given airline's flight and in establishing a competitive advantage against a competing airline. If a particular city has two or more airports, market forces will tend to attract the less profitable routes, or those on which competition is weakest, to the less congested airport, where slots are likely to be more available and therefore cheaper. Other factors, such as surface transport facilities and onward connections, will also affect the relative appeal of different airports and some long distance flights may need to operate from the one with the longest runway. Airline personnel - The various types of airline personnel include: Flight crews, responsible for the operation of aircraft while airborne. Flight crew members include: Pilots (captain and first officer: some older aircraft also require flight engineers and/or navigators) Flight attendants (led by a purser on larger aircraft) In-flight security personnel on some airlines (most notably El Al) Ground crews, responsible for operations at airports. Ground crew members include: Airframe and powerplant technicians Avionics technicians Flight dispatchers Baggage handlers Rampers Gate agents Ticket agents Passenger service agents (such as airline lounge employees) Reservations agents, usually (but not always) at facilities outside the airport Most airlines follow a corporate structure where each broad area of operations (such as maintenance, flight operations, and passenger service) is supervised by a vice president. Larger airlines often appoint vice presidents to oversee each of the airline's hubs as well. Airlines also tend to employ considerable numbers of lawyers to deal with regulatory procedures and other administrative tasks.